Hi there, and welcome to the first entry in a series I have decided to call, “Jen’s Top Ten Destinations to Visit While in the UK.” The plan is to lay out ten places I really want to see while I’m living in the England. Then when I actually visit them, I’ll write an installment about that experience. (Still with me?) It’s a bit hokey, but hey, hoke is part of my charm. So as, this is the first installment, I better lay out the 10 destinations I’d like to see. These are not in any particular order and I fully reserve the right to change this list in the future. 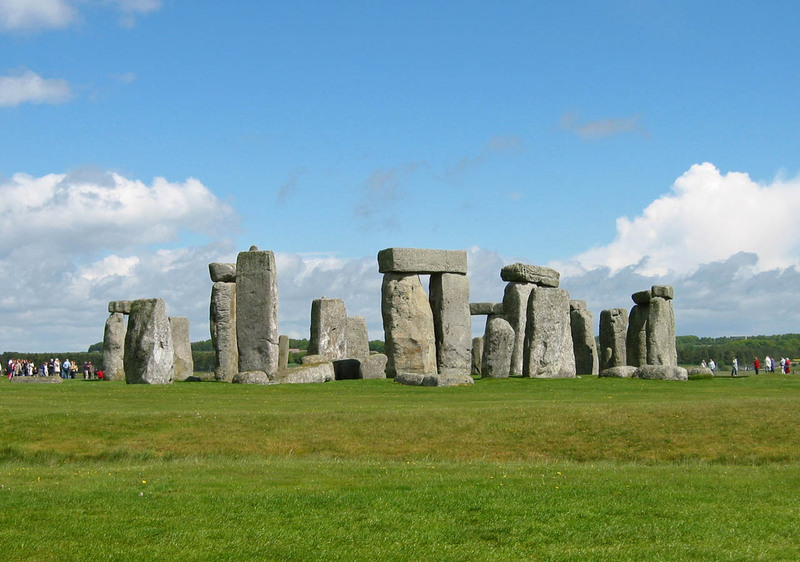 Stonehenge is one of the biggest henges in the world, at least according to Eddie Izzard. 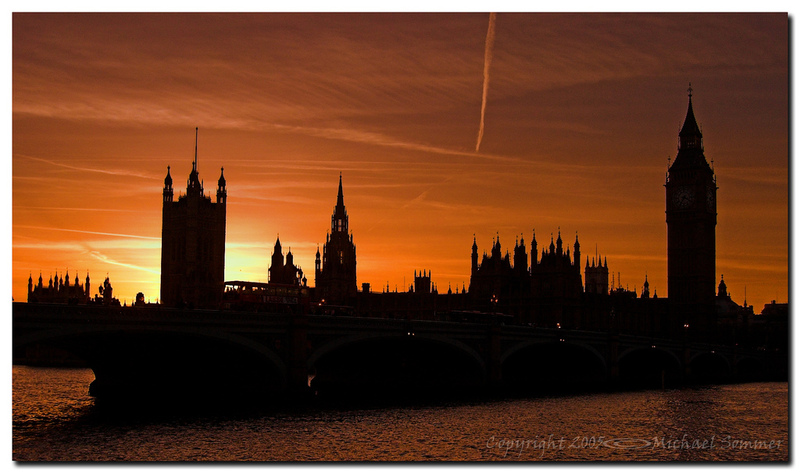 This one is on almost everyone’s list of things to see while in England and for good reason. It’s flipping amazing! To think that ancient people somehow managed to quarry these stones and transport them hundreds of miles to where they are today is just awe inspiring. I’ve been told by friends who have seen it, that pictures can only do so much; that to truly appreciate it, you have to see it in person. I’ll have to let you know if this is true, but I suspect it is. If you’re a fan of Downton Abbey than you’ll understand this one. Highclere Castle is where the hit historical drama is filmed. A friend bought me Lady Almina and the Real Downton Abbey for Christmas last year and I enjoyed reading about the real people who lived at Highclere around the time Downton Abbey takes place. In fact the 5th Earl of Carnarvon was one of the people who discovered the tomb of King Tutankhmun in 1922. There is even an Egyptian exhibit below stairs. What would Carson say?! There are too many places in London I want to see that I’ve decided to just say “London” and hope that will encompass it all. As a museum person I have to see the British Museum and the Victoria and Albert Museum. I’m also a huge fan of Sherlock Holmes. My dad instilled in me a love for the character when I was little and I must visit 221B Baker Street and the Sherlock Holmes Museum. Of course there is Buckingham Palace, the Tower of London, the Eye, St. Paul’s Cathedral, Trafalgar Square, Parliament and Big Ben, Tower Bridge, and everywhere else. I think I might need at least a week in London or maybe a lifetime. There are two places in Cornwall I’m looking forward to visiting. I took an historic gardens class a year ago in which we discussed the Lost Gardens of Heligan. Heligan was once an estate with extensive gardens. It suffered a decline after World War I and eventually the gardens were left completely derelict. They have since been restored and I would really love to see them in person. The second destination is St. Agnes. I’ve done some research into my family and the English side was originally from St. Agnes in Cornwall. I see this as a bit of a pilgrimage to the home of my ancestors. In case you hadn’t noticed, I’m a bit of a Doctor Who fan. I’ve watched the show ever since I was seven years old. I grew up watching Tom Baker, Peter Davison, Colin Baker, and Sylvester McCoy battle the Daleks and Cybermen. At the time, the other kids at school had no idea what I was talking about. I’m glad that the show is back and that it has such a huge following. 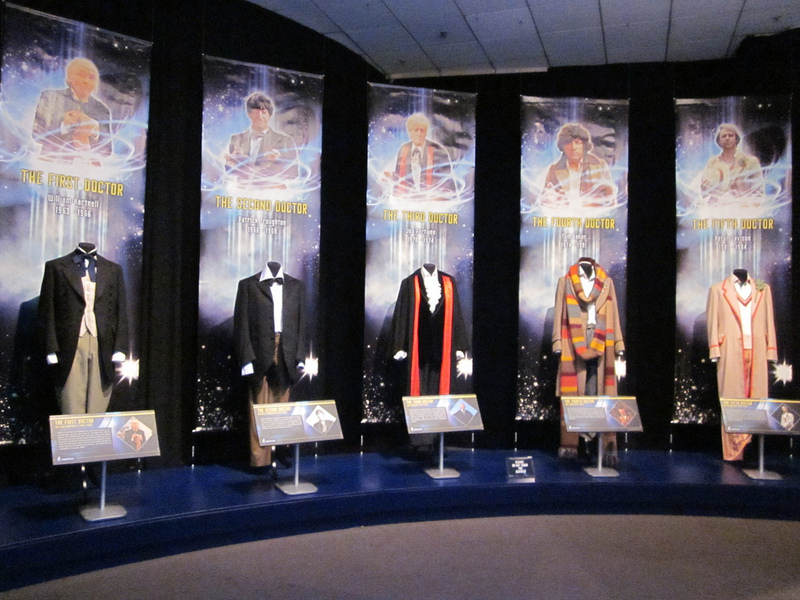 The Doctor Who Experience is part museum part…well, experience, in Cardiff. I’m most interested in anything to do with the classic series, especially Tom Baker’s years. Newcastle is the closest destination to Durham on this list and I’m sure I’ll visit it frequently. 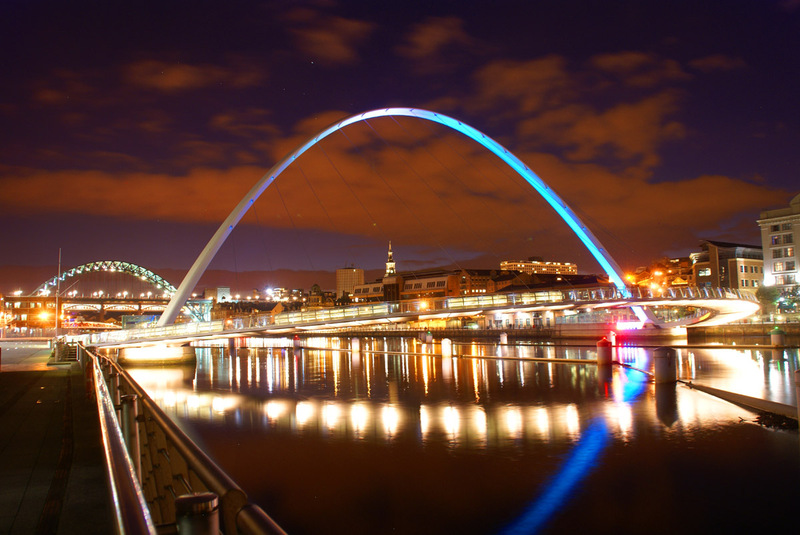 It’s situated on the banks of the River Tyne and like any city its size, it has museums, shopping, theaters, and restaurants. I am really looking forward to walking across the Gateshead Millennium Bridge. 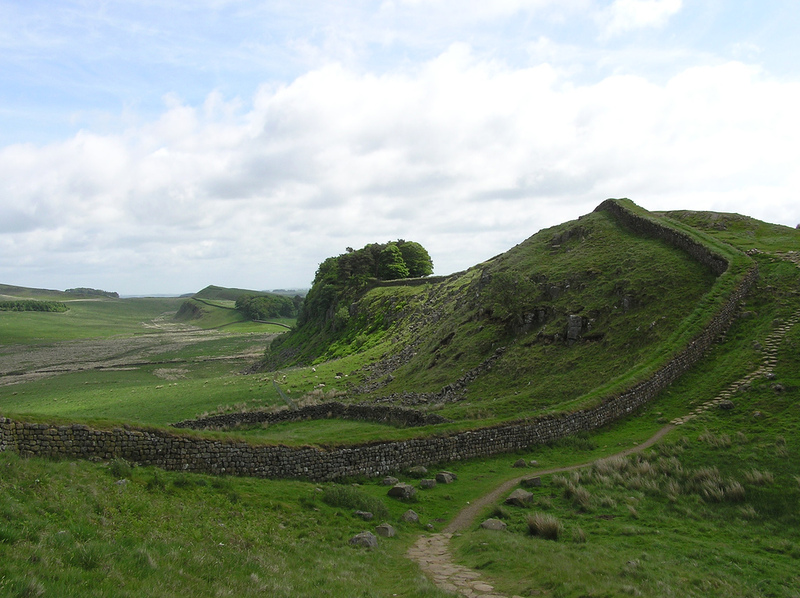 Built by the Romans as a defensive fortification, Hadrian’s Wall stretched from Segedunum at Wallsend (walls end, get it?) to Solway Firth. While it isn’t the Great Wall of China, it is still pretty impressive in scope. Of course I’m not planning on visiting the entire wall, but I would like to walk a portion of it. As it runs near to Newcastle I figure I’ll try to see that section. It’s true the White Cliffs of Dover are more famous, but after looking at pictures and reading a bit, I think I’d like to visit Beachy Head and the Seven Sisters. No, I’m not planning on having tea with seven siblings who live on the cliffs, though that would be lovely. 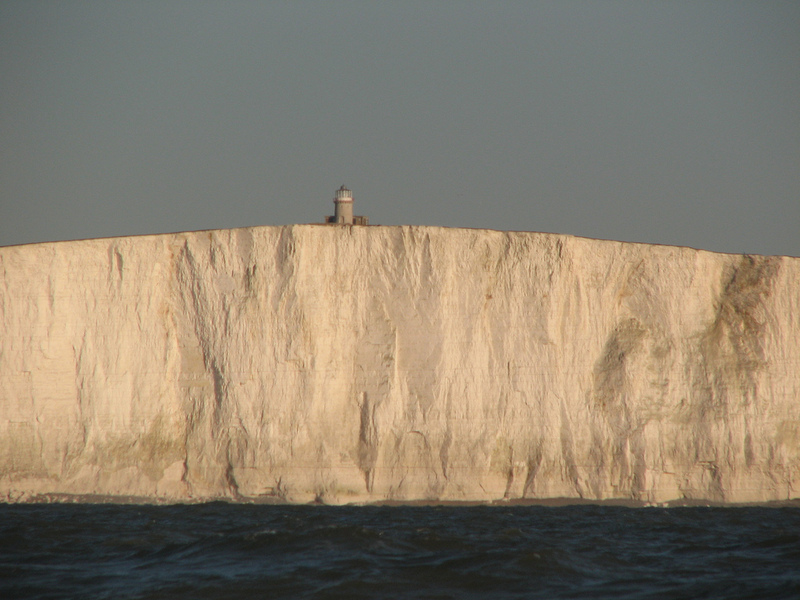 The Seven Sisters is the name given to a series of cliffs along Beachy Head. There is also the added bonus of a Sherlock Holmes hiking trail! 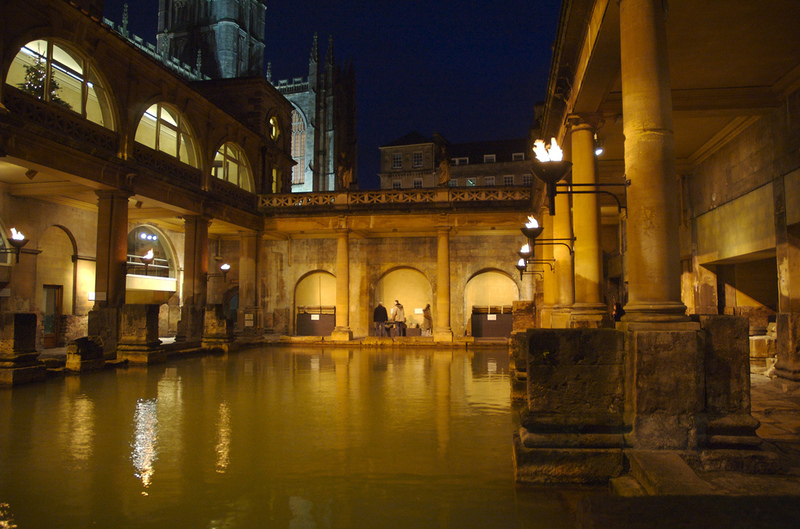 Along with Hadrian’s Wall, the Romans also left behind some magnificent baths conveniently in the city of Bath. Okay, so it’s just possible that the city was named after the baths, regardless it’s something I’d really love to see. In addition to the ruins, there is a museum and living historians. I also wouldn’t mind a session at the Thermae Spa . . . you know, just to have the whole authentic experience. I wish I could say I wanted to visit Oxford because of its historic importance or because it is home to the oldest university in England. 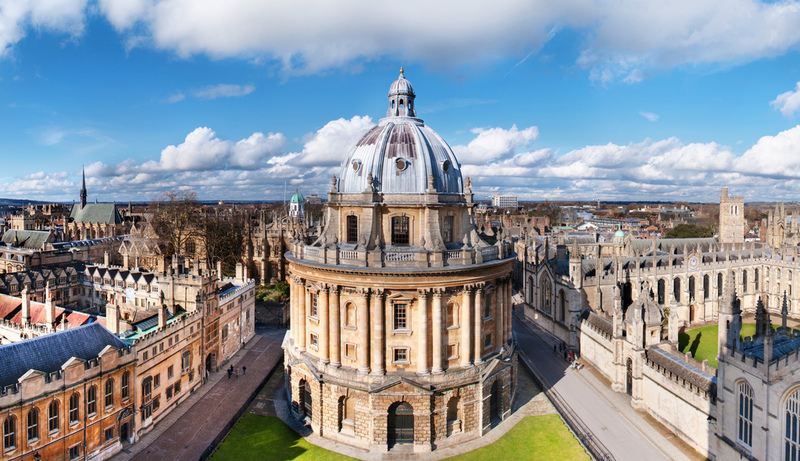 The truth is I want to visit Oxford because I want to see where Inspector Morse and Inspector Lewis were filmed. (I can feel your eyes rolling.) I do want to see the beautiful buildings, especially the Bodleian Library, and I am a great admirer of J.R.R. Tolkien and C.S. Lewis. So perhaps there are a few reasons I want to visit Oxford, some are good and some are silly. It may seem like an odd list and it will certainly bring me from one corner of the UK to the other, but maybe that’s the point. Jen’s Top Ten Destinations to Visit While in the UK..K…K…K.